114 Tom Walker DriveBeechgrove,TN 37018U.S.A. 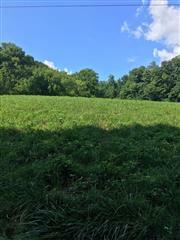 5453 Gossburg Rd Lots 5-11Beechgrove,TN 37018U.S.A. 197 Opossum Paw RdBeechgrove,TN 37018U.S.A. 0 Crews Hollow RdBeechgrove,TN 37018U.S.A. 3 Opossum Paw RdBeechgrove,TN 37018U.S.A. 0 Norton Branch RoadBeechgrove,TN 37018U.S.A.